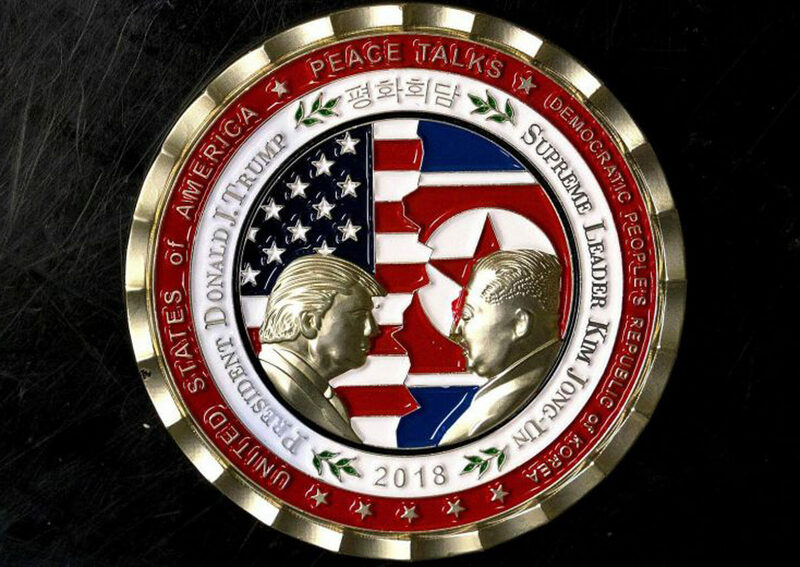 A commemorative coin issued to mark today's summit between US president Donald Trump and North Korean leader Kim Jong-Un. A month ago, I woke up to news I thought I might never hear in my lifetime: the leaders of North and South Korea had, after meeting at an historic summit in Panmunjom at the DMZ, announced their intention to formally end the Korean War and lay plans for reunification. I accomplished nothing I’d intended to that morning. I called my mother and sister to talk about the news. I read and reread the declaration and watched whatever clips I could find. I celebrated and speculated over group chat with Korean friends. And, I cried. A lot.